EUR/USD: Bullish (since 15 Jan 18, 1.2195): 1.2300 ‘target’ exceeded, focus is at 1.2440 now. The immediate target of 1.2300 that was first highlighted on Monday (15 Jan, spot at 1.2195) was just exceeded at the time of writing (high of 1.2305). As highlighted previously, a break of 1.2300 would shift the focus to 1.2440. That said, from a weekly chart perspective, there is hardly any significant resistance until 1.2780. However, it does not mean that EUR is heading higher in one ‘straight-line’ but the lack of significant resistance levels could lead to further rapid and sharp rise. Overall, only a move back 1.2150 would indicate that the bullish phase has ended. GBP/USD: Bullish (since 15 Jan 18, 1.3735): Next ‘target’ above 1.3835 is at 1.4000. No change in view. We just turned bullish GBP yesterday (15 Jan, spot at 1.3735) and the immediate ‘target’ of 1.3835 appears to be within reach (overnight high of 1.3819). A break above 1.3835 would shift the focus to 1.4000. AUD/USD: Bullish (since 15 Dec 17, 0.7665): Next ‘target’ at 0.8000. No change in view. The up-trend in AUD remains intact as it took out the ‘revised target’ of 0.7950 (overnight high of 0.7979). As highlighted in the Chart of the Day update from last Friday (12 Jan, spot at 0.7890), in order to build on the improved momentum (amidst overbought conditions), AUD should continue to march higher and not ‘dither’ around too much. From here, the next level to watch out for is at 0.8000. Above this ‘round number’ level, there is hardly any significant resistance until the 2017 peak of 0.8125. 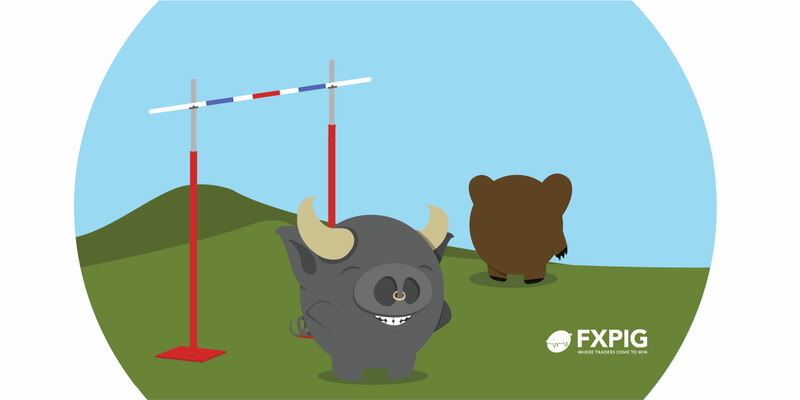 The lack of a strong resistance could lead to further sharp and swift rally. On the downside, only a break of 0.7860 would indicate that the bullish phase that started in mid-December has ended. NZD/USD: Bullish (since 14 Dec 0.7015): Still bullish, revised ‘target’ is at 0.7365 now. No change in view. NZD exceeded the revised ‘target’ of 0.7280 without much difficulty and from here, the focus has shifted to 0.7365. The bullish phase that started on 14 Dec (spot at 0.7015) is approaching its fourth week now and the severely overbought conditions suggest that NZD could top out ahead of 0.7365. That said, confirmation of a short-term top is only upon a break of 0.7200 . USD/JPY: 1 Bearish (since 12 Jan 18, 111.45): Below 109.90 shift focus to the 2017 low of 107.31. We turned bearish USD last Thursday, 11 Jan and the price action since then is in line with our expectation. The ‘immediate target’ of 110.85 was already exceeded and USD is currently approaching the major level of 109.90. We have highlighted that 109.90 is a rising weekly trend-line and is acting as a very strong support and may not yield easily. However, momentum indicators continue to improve and a ‘clear and clean’ break of this support would open the way for a move towards the 2017 low of 107.31. This is a very strong mid to long-term support as it coincides with another rising weekly trend-line. Overall, the current bearish phase is deemed as intact until 111.30 is taken.